With the week view you can see how much time you worked on different task categories and projects in a specific week. This window stays always the top window, you can use other windows when this window is active such as the main window and the “Remind Me” window. The Current week that is visible. 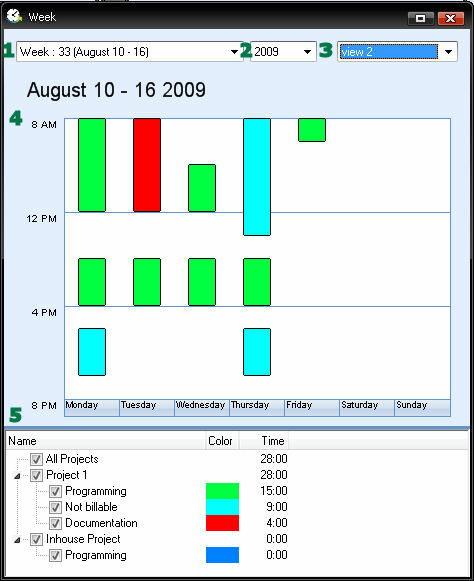 A view where on each day the culminated task categories are visible. 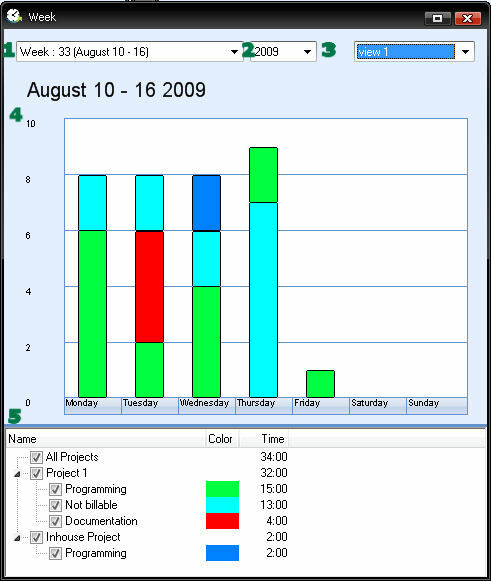 A view where on each day the task categories are visible, this is basically a small version of the week calendar. Here the week is displayed. Here the project and task categories are visible with the color of the task categories and the time that was spent on this item in this month. Here also a project or task category can be selected/deselected so that it doesn’t show up in the week graph and that time doesn’t appear in the legend.